Since the Credit Reporting Act came into force in Jamaica in 2010 thanks to Creditinfo and Partner efforts, tremendous positive changes have occurred in the market. 36 entities that have been registered within Creditinfo Jamaica Limited, Jamaica’s first licensed credit bureau, have empowered the automated exchange of information, which has improved loan recovery rates in the island, an outcome supported by Dr. Jide Lewis, representing the Bank of Jamaica at a seminar delivered at the Jamaica Association of Micro Financing Limited (JAMFIN) Institute of Micto Finance and Business (IMFB). At this date, approximately a quarter of the active population of the island (18-74 y.o.) 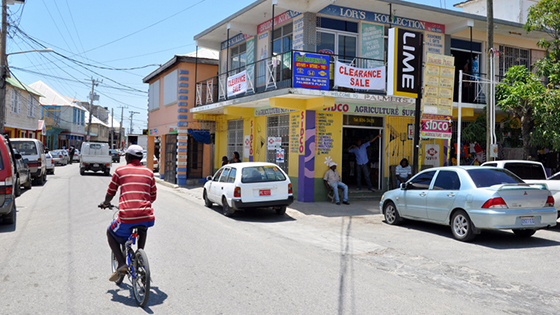 is registered within Creditinfo Jamaica’s credit reporting system. This individuals have a credit report and a credit score which will influence their ability to access credit. Typically one would expect three significant benefits from the introduction of a credit bureau. The initial impact is on increased recoveries, the second increased access to credit and the third cheaper credit. During the seminar, Dr. Lewis identified strong evidence of the impact of the first impact, increased recoveries. Dr. Lewis noted that $2.511 billion was recovered during the period ended December 31, 2014. That jumped to $3.149 billion for the period ended December 31, 2015 and continued apace to the tune of $2.994 billion for the period ending December 31, 2016. That jump identified by Dr. Lewis reflects a 25% jump increase in recoveries. This will also have a long term effect on individuals and companies attitude to taking credit. No payment is no longer without penalties and implications. “These numbers are best at illustrating how efficient Creditinfo and our partners in Jamaica are in contributing to economic growth and welfare of the country as well as health of the whole financial ecosystem. Our goals are long-term and it is rewarding to see tangible results as such after only a few years of operations” – stated Hakon Stefansson, Executive Director of Credit Bureau Operations at Creditinfo Group.